— Pick 2 Column (Sidebar on Left) OR 3 Columns (2 Sidebars on Left). 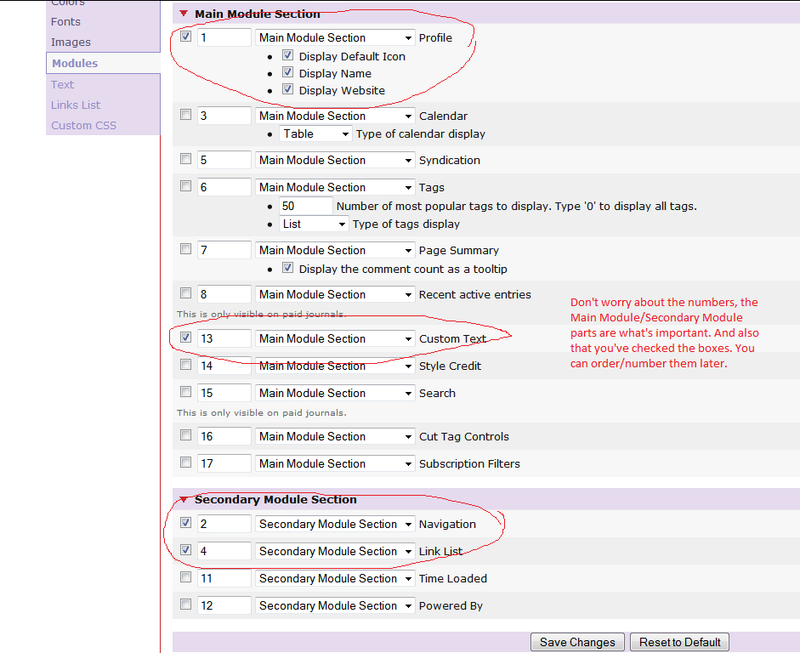 If you picked Two Columns, make sure all your modules are on the Main Module Section in the droplist. For Three Columns, your inner sidebar modules go under Secondary Module Section. 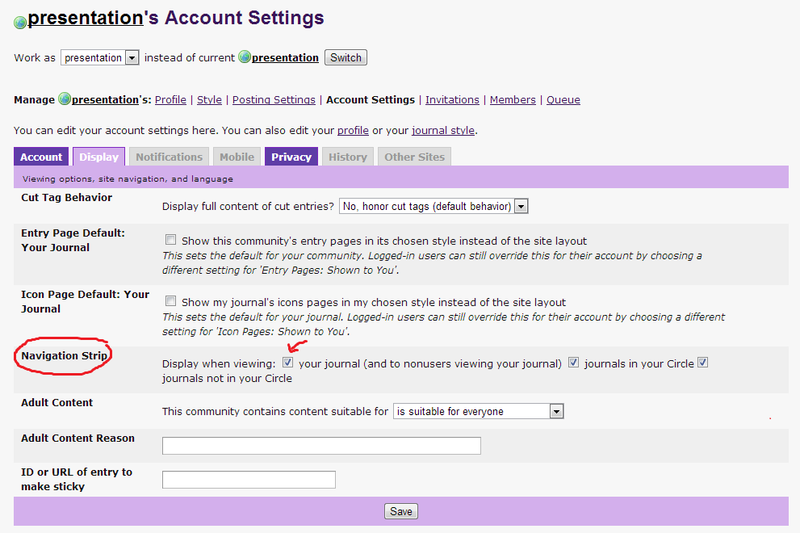 — Custom comment pages are functional, so are the other pages. Should've been mostly cleaned up, code-wise. — If you want an image background for the header, ctrl+F background: #000 url();, and paste the image URL in the parenthesis. 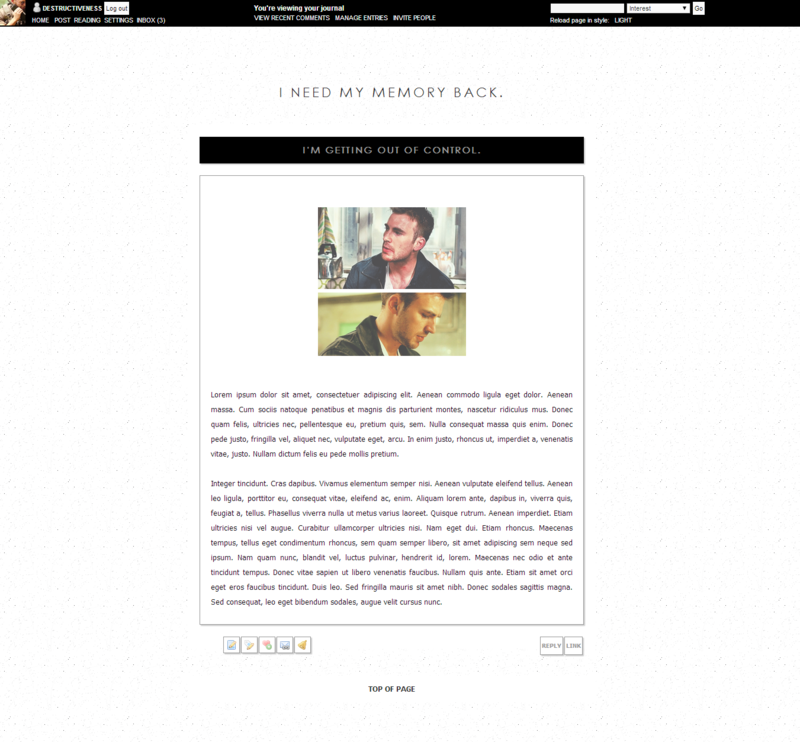 — Search for the Tabula Rasa layout, and choose Plain. — If you've turned off your Navigation strip, turn it on. Or keep it off, but you might have difficulty navigating otherwise. 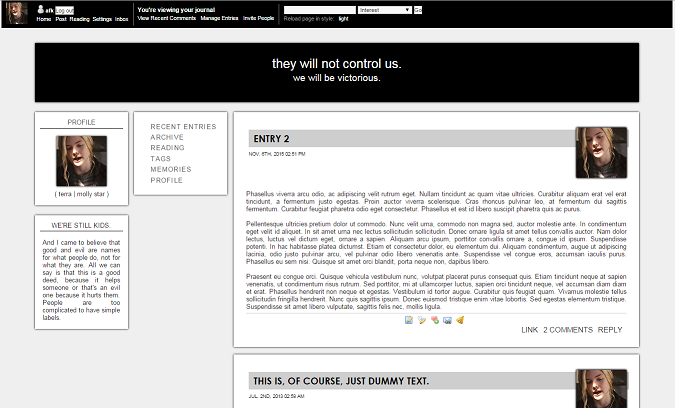 — The comment pages are functional, but they look hella weird. Same with the this layout, the layout disables ALL sidebar modules, but entry management and entry interaction links should be fine. — Tested on FF and Chrome. If you have questions/troubleshooting concerns, ask away in the comments, but i might take a while to get back to you. — Select a Brittle layout, preferably Rust by renoir. 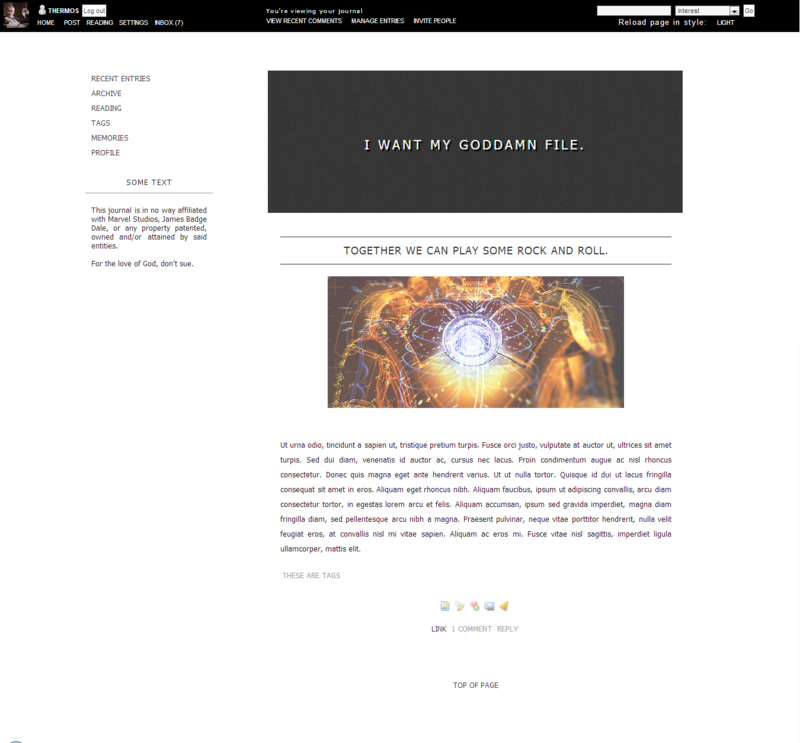 — The comment pages are functional, but are a little wonky alignment-wise. Same with the first version, the layout disables ALL sidebar modules, but entry management and entry interaction links should be fine. If you have questions/troubleshooting concerns, ask away in the comments. — Select any Brittle layout. Pick 2 Columns (Sidebar on Left). 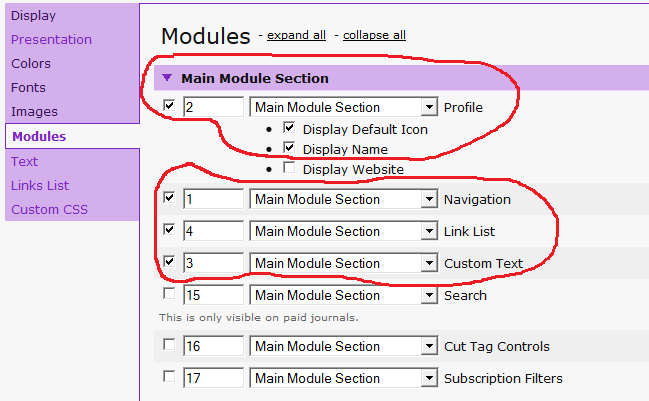 — Under the Modules tab, make sure all the modules you'd like to use fall under the Main Module Section. Order as you see fit; here's an example. — !!! IMPORTANT! Copy this whole thing if your screen resolution is higher than 1280 x 768. — !!! If your screen resolution is 1280 x 768 or lower, use this version. — Paste the code, hit save, and you're done. 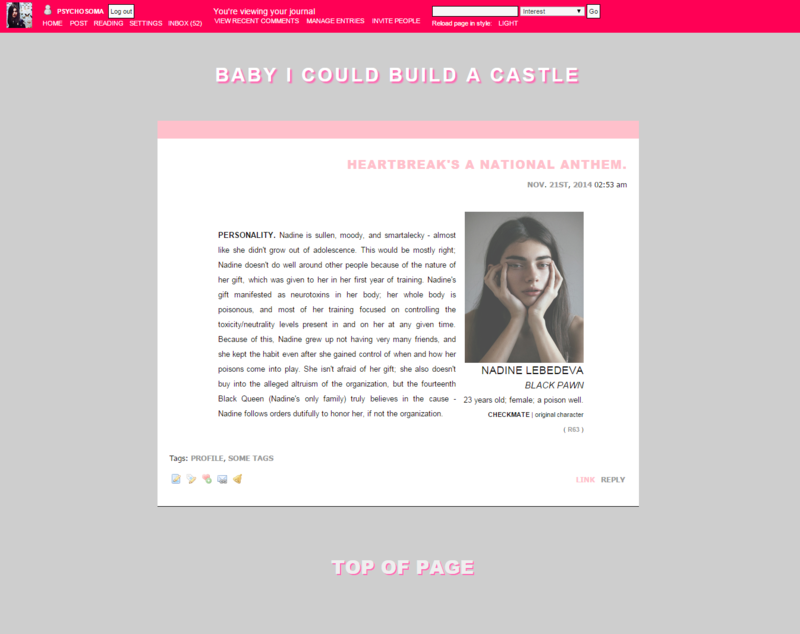 — Tested on FF and Chrome, comment pages are fuctional but gross, leave a comment for trouble-shooting! Blue font is where the 6-digit color hex code goes, red font is where the image URL goes. Header image must be at least 700px by 240px. — The comment pages are functional, just gross; as well, the layout disables ALL sidebar modules (and comment/entry management links), so even if you turn on any, they won't show up. Tested on FF and Chrome. — Do not take out the credit line from the layout code, this is not a base code. This layout's pretty difficult to navigate, nigh impractical; I'm well aware. That said, if anyone has any questions/problems with it, leave me a comment and I'll try to fix it.